There’s a good reason why menopause is called “the change of life.” It can affect just about every part of your body, including your breasts. During peri/menopause you’ll start to notice changes in the size and shape of your breasts. You may also notice that they feel tender and achy at unexpected times. Or they may be lumpier than they used to be. You’ll want to know what’s normal, what’s not, and what helps. That knowledge helps you to make a smooth midlife transition and feel your best during menopause and beyond. Why It Happens: Before your period, fluid builds up in your breasts, making them feel more swollen, tender, or painful than other times of the month. Because the hormonal changes of perimenopause make your cycle irregular, breast soreness can strike unpredictably. What You Can Do About It: If your breasts hurt, wearing the right bra can make a big difference: 85% of women with breast pain gained relief when they wore a well-fitted sports bra, according to a 2014 study. The same researchers found that relaxation techniques or massaging achy breasts with over-the-counter pain creams was helpful for up to 60% of women. BUT If breast pain is severe or won’t go away, talk to your doctor. Why It Happens: As you near menopause, your levels of oestrogen drop dramatically. As your milk system starts to shut down, glandular tissue in your breasts shrinks. That causes them to become less dense and more fatty, which can lead to sagging. You may also notice that your breasts aren’t as full as they used to be, and their size may change. What You Can Do About It: Although there’s no proven way to reverse sagging, exercise makes your breasts look better by developing and toning the muscles underneath. Working out regularly also has another important perk: You’ll be less likely to get breast cancer. Good ways to tone your chest muscles include pushups and lifting weights. Some lingerie styles, such as a pushup or underwire bra, can give you a youthful lift, but make sure your bra fits correctly: By some estimates, up 70% of women are wearing the wrong size. After menopause, you may need to go big when you shop for bras: A recent study found that 1 in 5 women went up a bra size after menopause (typically due to weight gain), but only 1 in 50 needed a smaller bra. Why It Happens:There are several reasons why this can happen during perimenopause, including normal aging and hormonal changes. Just like at any age, though, you’ll need to see your doctor to find out what the lumps are. You could have cysts, fluid-filled sacs that are very common. They can feel like grapes and aren’t cancerous. Many women, of all ages, have them. 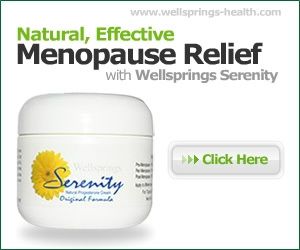 Sometimes they go away after menopause, but they can stick around, especially if you take HRT. Fibrocystic changes are another common reason for lumpy, painful breasts and areas that feel rubbery to the touch. They don’t make you more likely to get breast cancer. Nor do cysts. What You Can Do About It: Some women find when they cut down on caffeine, their breasts are less tender. You can also apply a warm compress to the painful area or use over-the-counter pain relievers. Most of the time, breast changes are not cancer, but it’s important to get any new or unusual symptom checked out quickly. Also talk to your doctor about how often you should get mammograms, since guidelines vary in different countries. Women in England who are aged 50 to 70 and registered with a GP are automatically invited for screening every 3 years.The American Cancer Society recommends one every year, starting when you’re 45. The American College of Obstetricians and Gynecologists recommends offering average-risk patients mammograms beginning at age 40. Other groups advise every 2 years when you turn 50 until you’re 74. But the NHS is in the process of extending the programme as a trial, offering screening to some women aged 47 to 73. There is a known link between excess oestrogen and breast cancer (oestrogen dominance). This can occur when the oestrogen is is not in balance with progesterone, and this is not necessarily when the oestrogen levels are high. It can also occur in women with low oestrogen levels whose progesterone is lower still.